With a great sense of humour touching on everyday topics, a singing voice and a rare ability to make the stiffest faces smirk, Kenny Sebastian has the world at his feet. The Bangalore-based stand-up comedian is arguably one of the biggest comedy acts in the country, creating content fit for both the Internet and the stage. When not directing short films, the comedian is performing at leading venues like Canvas Laugh Factory (Mumbai) and has delivered over 1000 shows around the world. 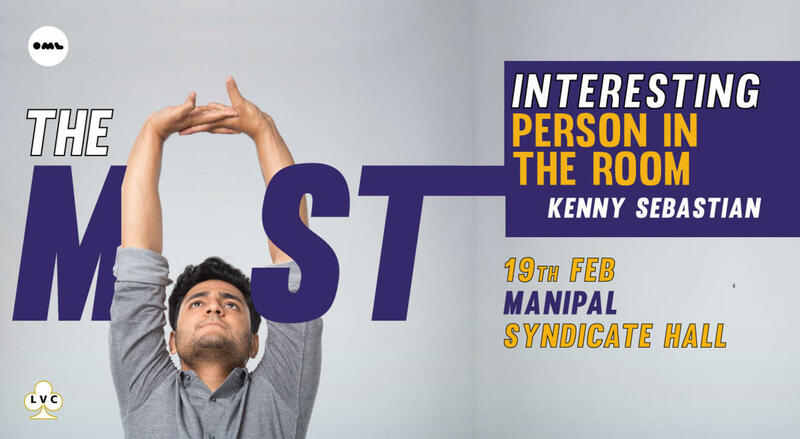 Kenny is one of the forefront members of Bangalore's comedy group- The Polished Bottoms, with comedians Sundeep Rao, Sanjay Manaktala and Praveen Kumar. His Internet prowess is seen in his Amazon special, Don’t be That Guy, along with the sci-fi comedy web series Starboyz, and Comedy Central’s The Living Room. This year, Kenny premiered a new show named 'Die Trying' on Amazon Video and is on the panel of judges for Comicstaan, a nine episode series, to mentor and find India’s next comic sensation! And finally, he has an adoring female fan base as well!